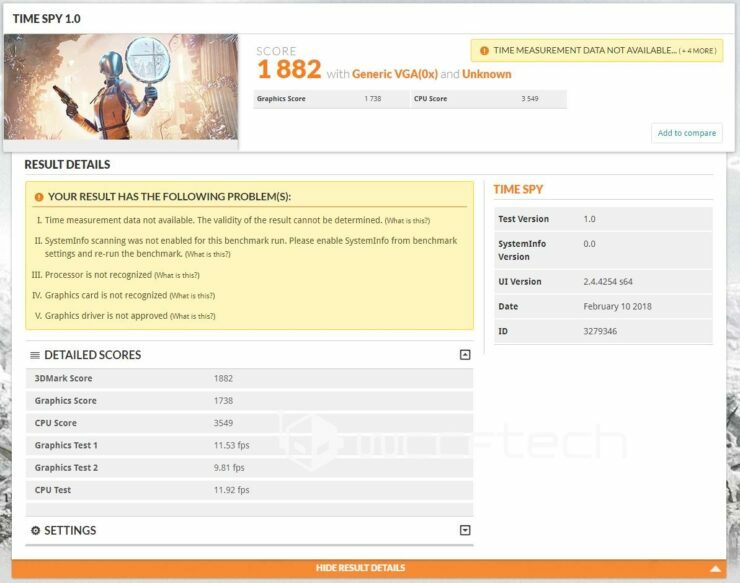 AMD Ryzen 5 2400G 3DMARK Performance Leak Ahead Of Launch! When you’re stuck in a hotel room on a laptop and there’s an upcoming launch of a rather anticipated product, like the Ryzen 5 2400G, you tend to keep a close pulse on the internet for early info. After all that’s how we caught the early postings of the reviewer kit a few days ago. But with the actual launch only being a couple days away we’re all much more interested in actual performance numbers at this point. Well, thanks to a neighbor up in Canada who appeared to have forgotten to unplug his test bench when running a battery of tests on 3DMark leaving my evening tea a little more exciting. 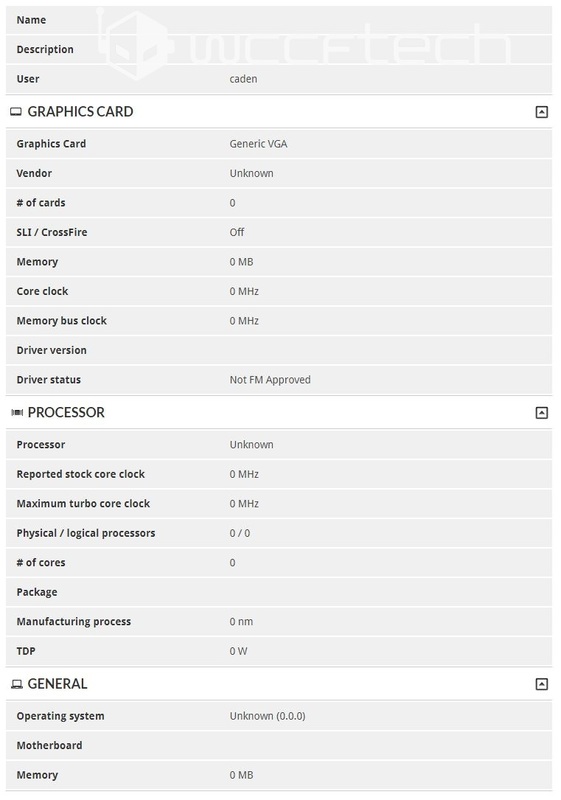 It didn’t take long before that wonderful “Generic VGA and Unknown CPU” name to pop up on the Results Tracker on Futuremarks website, and here we are. 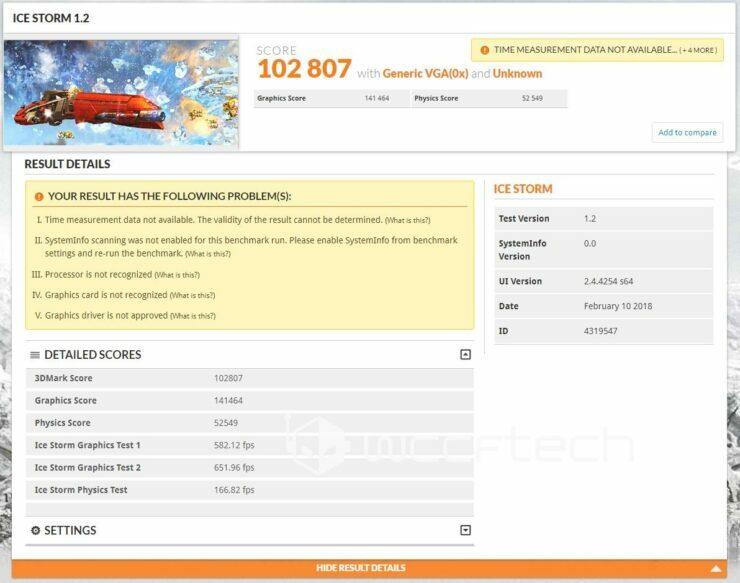 Okay, some things very important to note here:The fact that nothing is listed as Ryzen 5 2400G, so some speculation is definitely happening, Clock speeds are unknown, so this could be heavily overclocked on the GPU side. 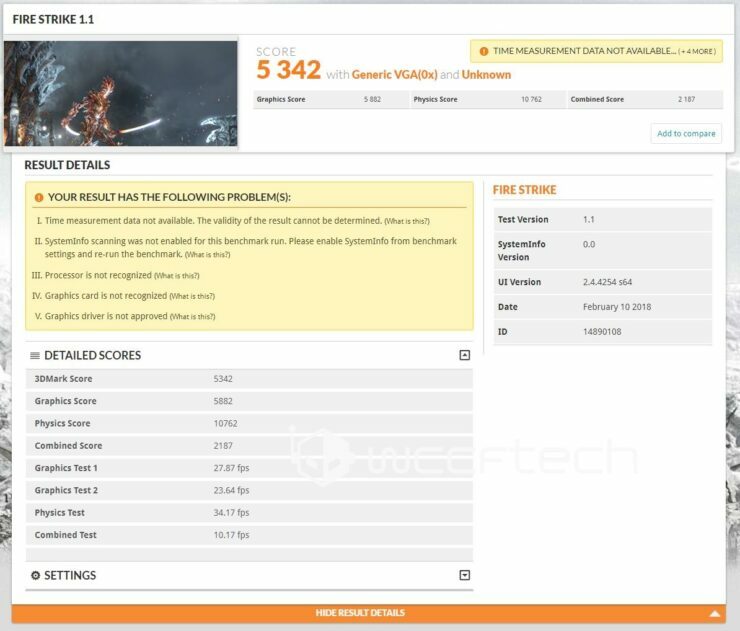 I did pull numbers from our Ryzen 5 1500x paired with DDR4 2933 and the performance from the CPU tests were all in line leading us to feel confident that this was the Ryzen 5 2400G on the GPU side since they carry the same Zen cores, but with an improved memory controller and the memory is likely running at least DDR4 2933. 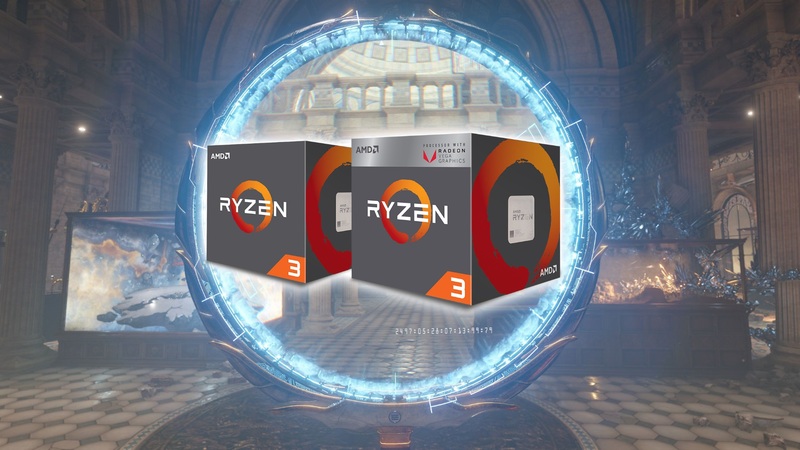 We did have a comparison shot which will be at the bottom of this article showing performance gains from a Bristol Ridge A12 9800 (stock) to this possible Ryzen 5 2400G (unknown clocks). So all of that to say, hold fast for final reviews for purchasing decisions. Related AMD Readies Picasso APU – Raven Ridge Successor Based On 12nm Based Zen+ Architecture? Don’t break out your wallets just yet. 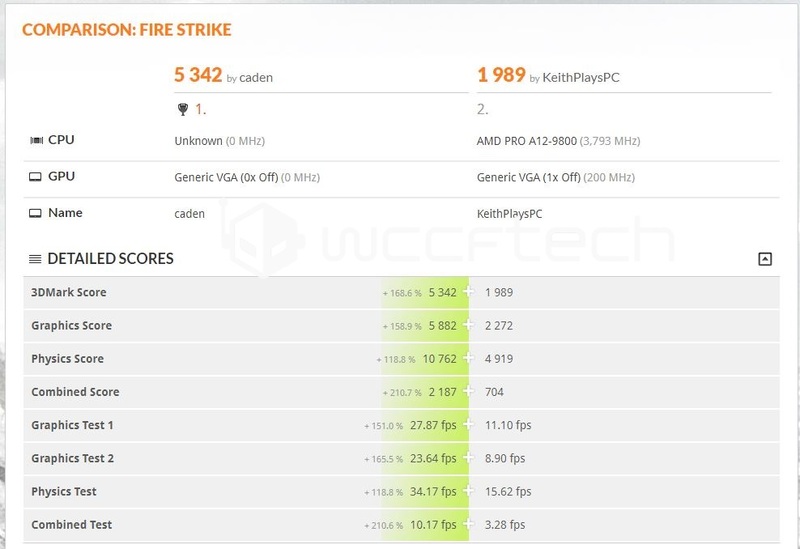 These could be spot on or could be far off, but I’m willing to bet they’re going to be on the closer to accurate side based on my understanding of the results that we should expect based on Stream Processor count, anticipated clock speeds and the amount of time I’ve spent with various APUs over the years. Pretty sure I’ve used everyone of the 7000 series at some point for overclocking and testing. The reason I’m hesitant to say how they’ll perform in games is because of final in game clock speeds, I blame Bristol Ridge on this one. Bristol Ridge, A12 9800 to be exact, carried a 65w TDP and higher CPU clocks and GPU Clocks but was TDP limited in actual gaming performance. 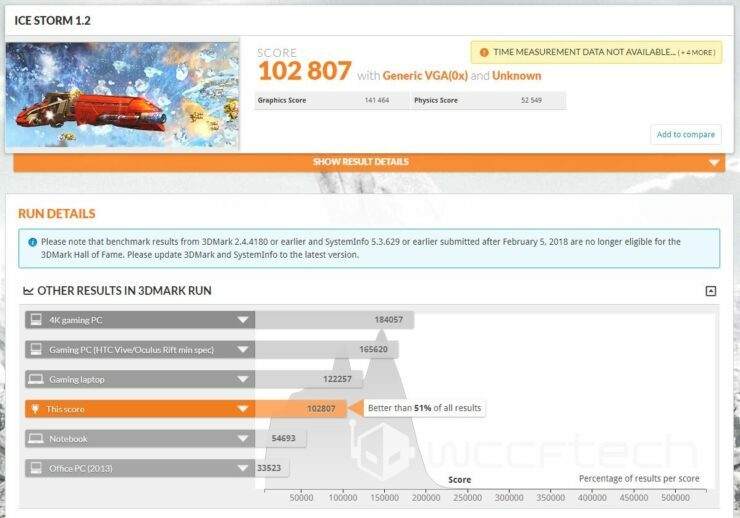 It performed excellently in 3DMark, matching R7 250 and right on the heels of a GT 740, but throttled due to TDP so badly that in games it performed at 60-70% of these parts. A little background that others unfamiliar with how the older Kaveri/Godavari/Carrizo based APUs worked was they balanced CPU and GPU performance to stay within a TDP window and power delivery envelop by reducing GPU clocks when at desktop to ensure full speed CPU performance, but when a 3D workload or GPU accelerated workload was introduced it would pull the CPU back to 3.0GHz to allow full speed on the iGPU. Concurrently the Bristol Ridge (Carrizo) did not do this from our testing, it however limited the iGPU performance to maintain CPU frequency. This is a situation that, we were told at CES 2018 by James Prior, will NOT be an issue on the new Ryzen with Vega graphics chips. 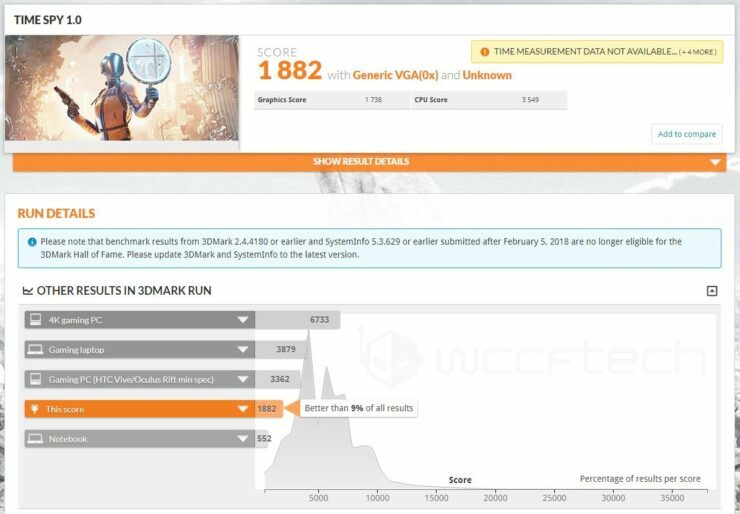 Thanks to the fact that they were more than comfortable at operating at full speed on the GPU and CPU within the 65w TDP rating. 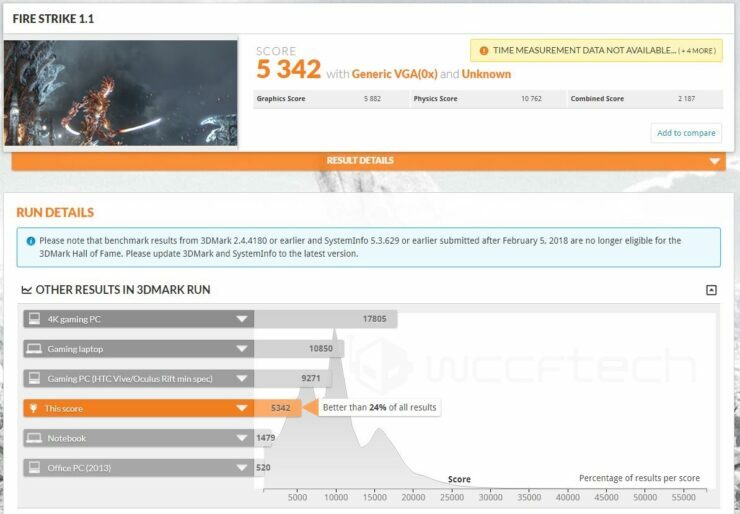 If this proves true, GG AMD and the performance numbers shown in these results should be about where we will see the Ryzen 5 2400G perform in real gaming scenarios. For those curios of some of our testing with the A12 9800 this included video is an explanation of why we never reviewed it. Sea of Thieves Running on Ryzen 5 2400G. Is it Cursed or Mythical?